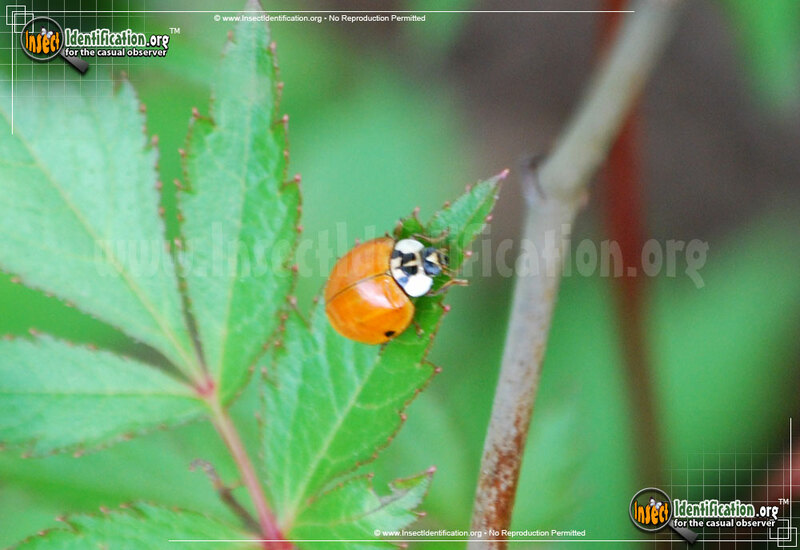 Detailing the physical features, habits, territorial reach and other identifying qualities of the Asian Multicolored Lady Beetle. 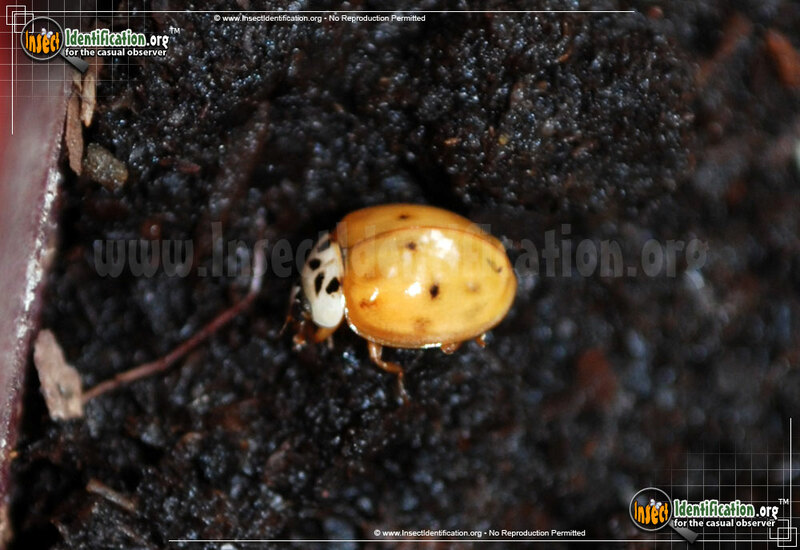 The Asian Mulitcolored Lady Beetle is exceptionally good at spreading out, maiming blossoms, and permanently taking over native territories. 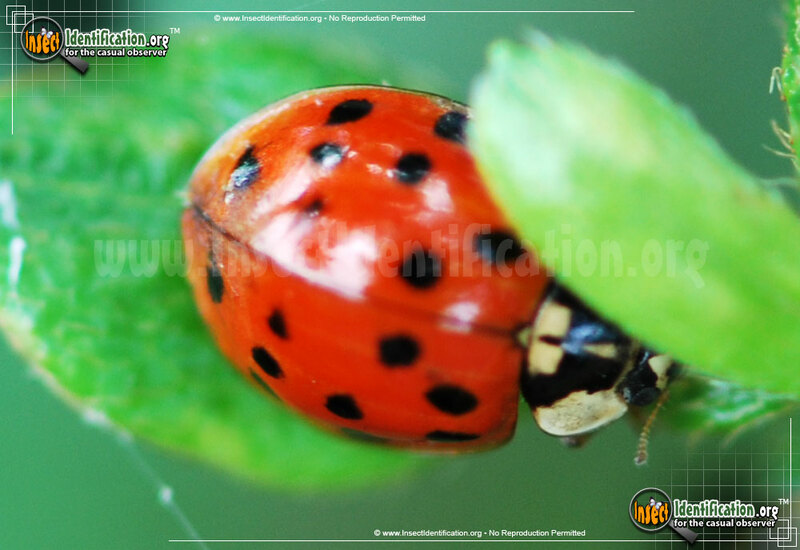 Historically, Lady Beetles, were recognized as a beneficial insect because of their diet. 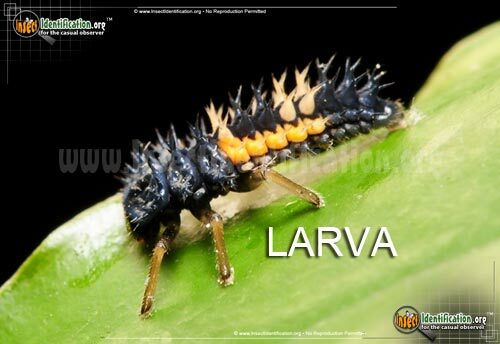 They are known to eat aphids and other plant-harming insects, making them a welcome ally in a garden or farm. 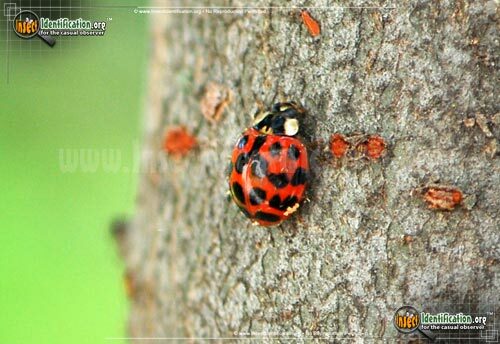 This entire family of beetles was therefore 'dedicated' to 'Our Lady' in appreciation for their aid in growing food. 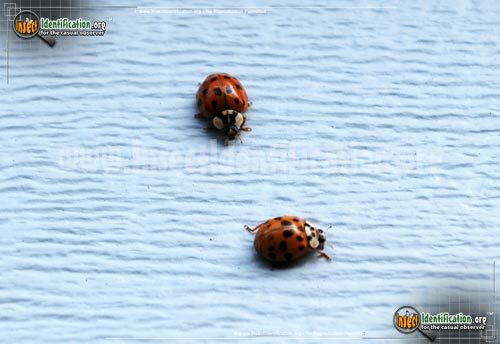 They are called ladybugs in the U.S. and ladybirds in the U.K.. Despite working wonders to clear pests from the garden, however, the exotic Asian Multicolored Lady Beetle has become somewhat of a pest itself. This species of Lady Beetle is actually native to China, Japan and eastern Russia. It is believed to have been introduced to North America in the late 1970's. This species is hardy and fecund, adapting to a variety of habitats and temperature ranges. 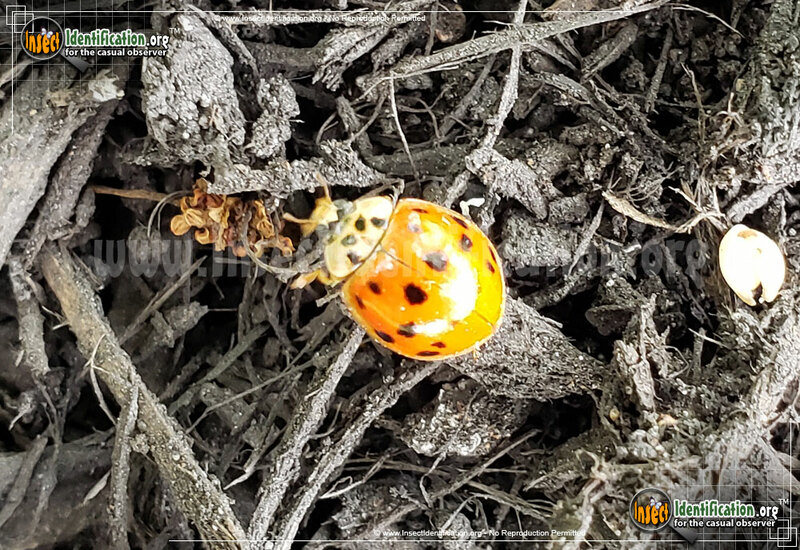 Hence, it is beginning to replace the native North American species of lady beetles across the continent, taking over territories once home to native beetles. 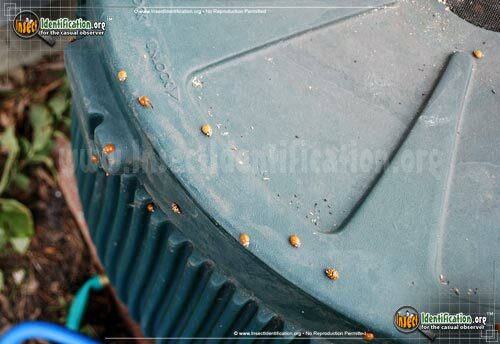 The vexation doesn't end there. 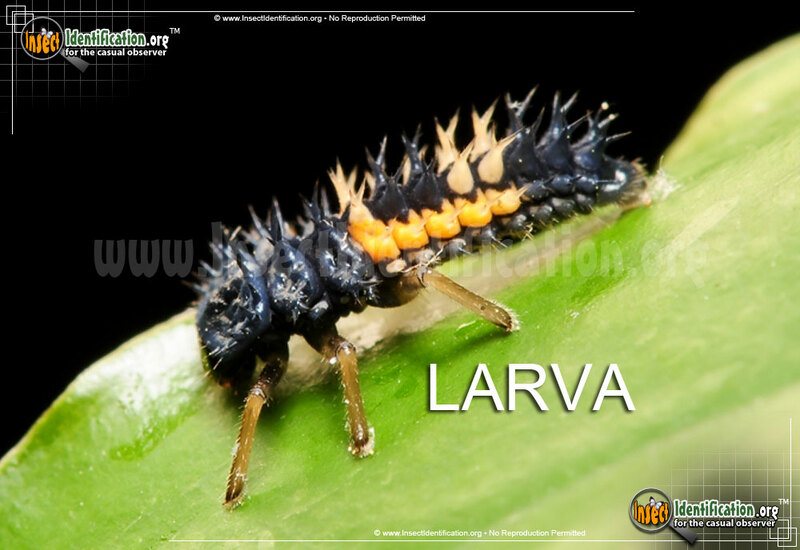 In addition to the subjugating native territory, this species overwinters in clusters, usually in warm buildings (homes, offices), where a few can make their way in from the exterior walls into the building's interior. 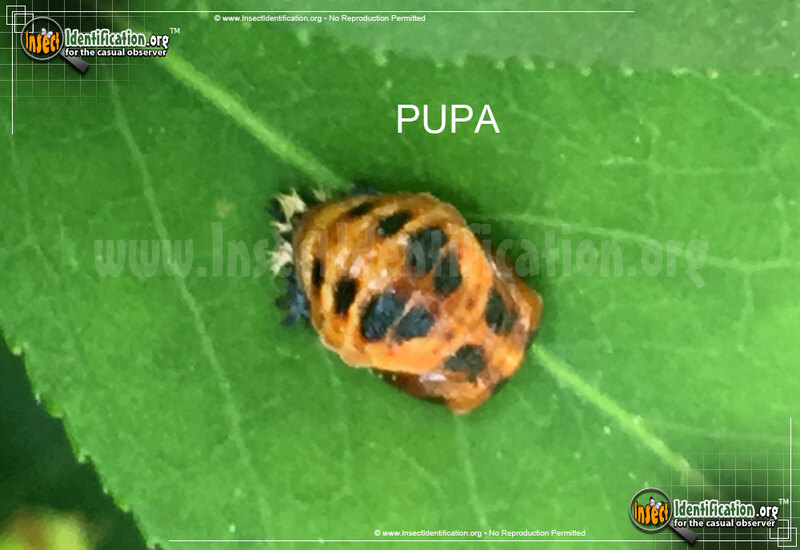 They can emit a pungent odor (as a defense against predators) which, en masse, can create an unappealing smell in the area of the building where they congregate. They also bite, though it is not a medically significant wound. 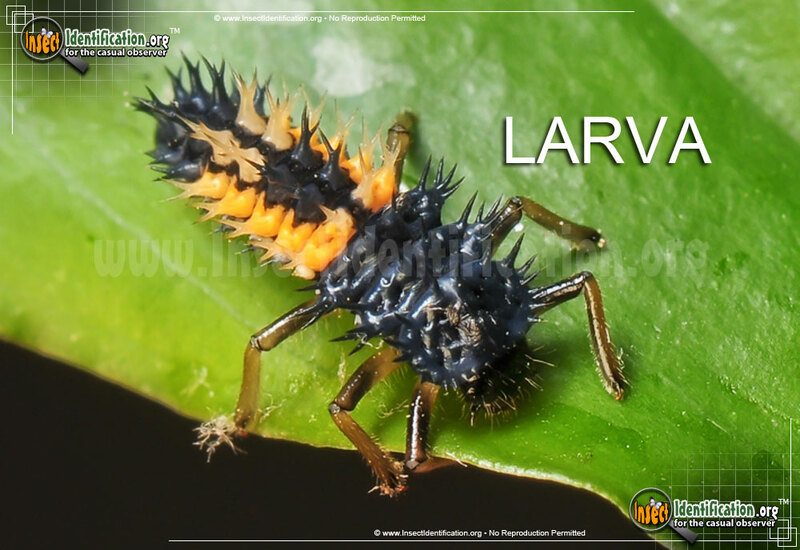 Wingless larvae appear nothing like their smooth rounded adult forms. 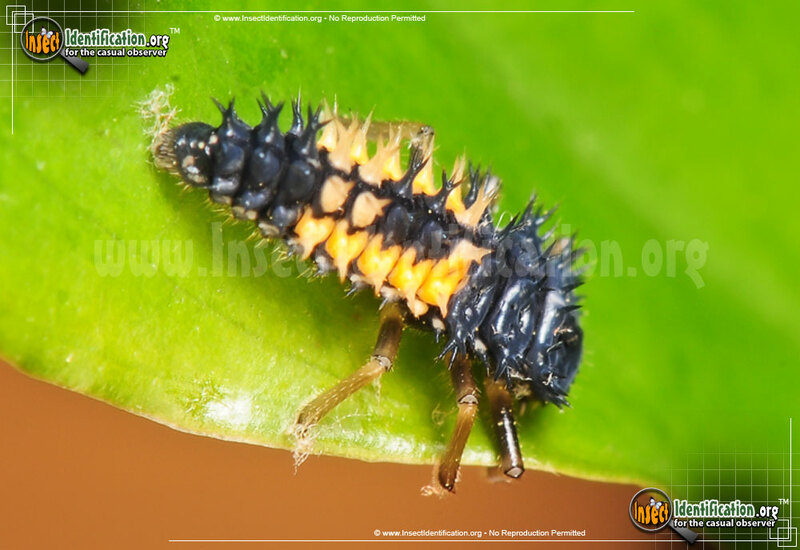 Instead, they are tubular like a short, small caterpillar, and they have an array of spikes along the edge of the body as well as on top. 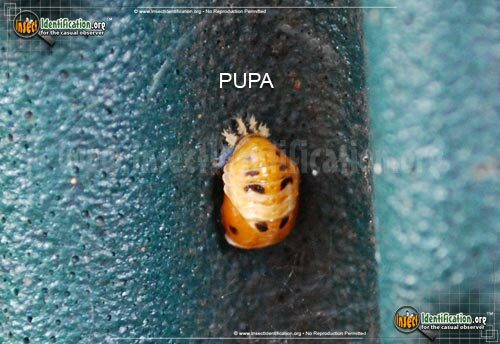 Adults have shiny, rounded bodies and can be red, orange, brown or tan with a variety of black spots on them. 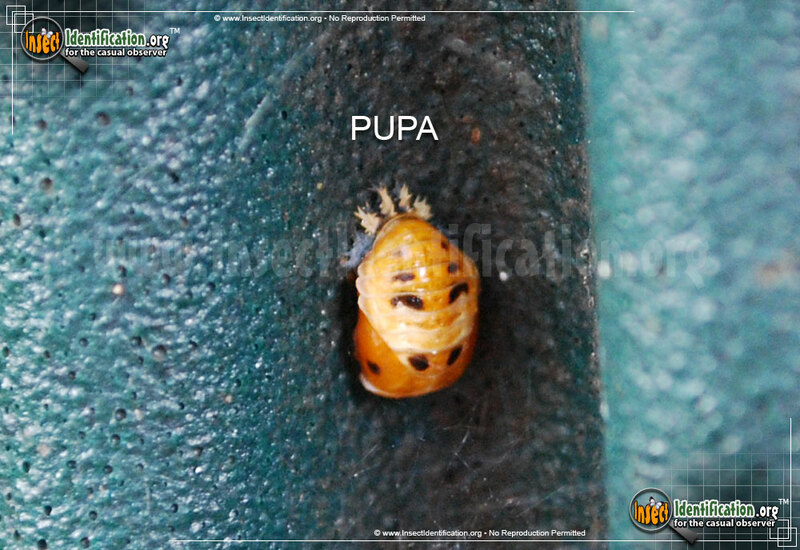 Their coloration varies greatly between individuals. Spot patterns are also variable.